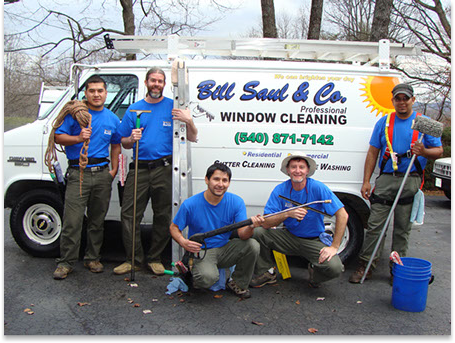 Bill Saul Co. started washing windows in and around Roanoke in 1982. 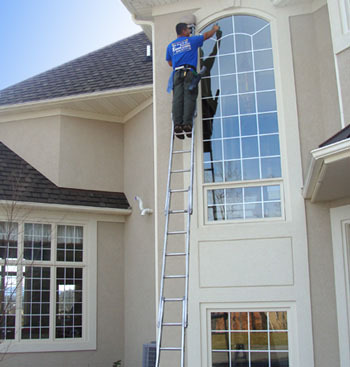 Over the past 30 years, he and his team have become the go to guy professional window cleaning service in Roanoke for both commercial and residential services. Only work with fully insured professionals. What we're really good at. I was so pleased with the job you and your helper did and the speed in which you accomplished the job. It truly pays to hire a professional! The wedding at our home was beautiful and the clean windows were the icing on the cake. Thank You for your excellent work. P.O. Box 21581 Roanoke, VA 24018 | Call Us at 540-871-7142!